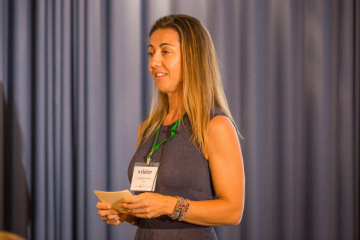 Lupe Gervas, Localization Manager for intelligent question and answer community Quora, spoke to the SlatorCon San Francisco 2018 audience about the challenges, pitfalls, and successes of hiring for the language industry. Gervas said taking hiring risks, and screening candidates for adaptability rather than just experience is one way to safeguard localization workforces. 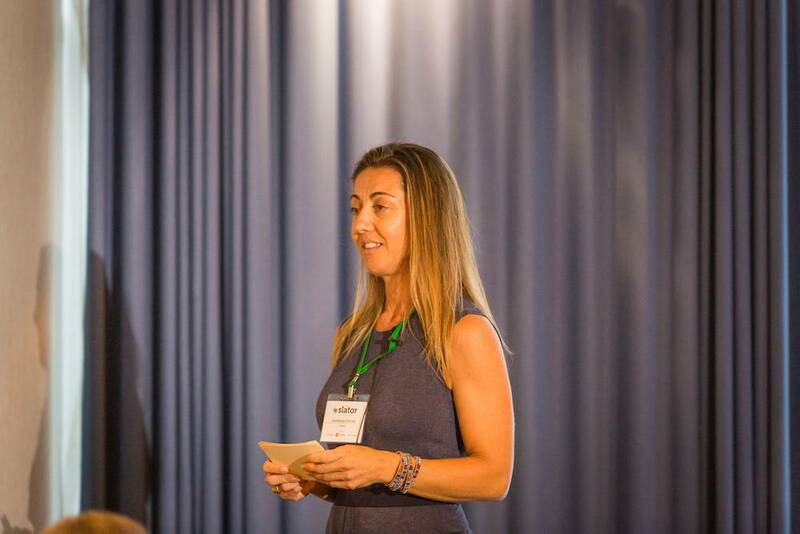 Gervas, who has an academic background and started her career in journalism, said that she brought key transferable skills with her when she transitioned to the language industry. Prior to joining Quora, Gervas also held localization roles at Yahoo, Netflix and most recently Facebook, where she was Global Manager of Content Operations and Product Support for Media Operations. Gervas highlighted the themes common to both journalism and localization professions of using content to connect with audiences and creating the best user experience. “It’s the same thing,” she said. Content, Gervas said, “is everything.” From the online entertainment content put out by Netflix, where Gervas worked as Localization Manager for over five years, to the user generated content that Quora hosts, content is “what you say, what you present to your users and what connects you to your audience,” she continued. Social platforms, be they Facebook, Quora or Snapchat, “are trying to get the next one billion users,” Gervas told the SlatorCon audience. Where will the next one billion users come from? 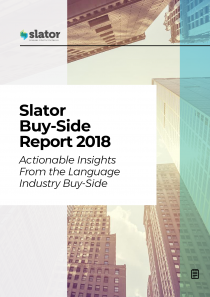 Well, “not here in Silicon Valley,” Gervas said, but from Asia: India, Indonesia and Vietnam, echoing the assertions of SAP’s Ferose V R that there is huge opportunity for organizations in the as yet untapped, longtail languages, which are starting to ramp up. The temptation when hiring for localization professionals, in Gervas’ opinion, is to select candidates on the basis of localization-specific experience, the things that people “only know if you have worked in localization.” The main reason for this is that “it’s easy to prove,” said Gervas. “Mea Culpa. I’ve done that,” she added. The rationale behind prioritizing core skills, Gervas said, is that an employee’s job will evolve over six months or one year so people need to be able to adapt to a changing environment. As the industry develops, hands-on experience of translation productivity tools and glossary management, for example, become less important than the ability to adapt. “Our industry is evolving so quickly and so fast that what worked 15 years ago may not work right now,” Gervas continued. And, to future proof the industry’s workforce “we are going to have to attract and retain amazing talent,” she said. Indeed, Gervas sees a couple of tendencies that localization managers need to avoid at all costs. Firstly, what Gervas called the “Goodfellas affect,” where the industry operates as a tight knit mafia mob with no way out because people become entrenched in a particular vertical or specialization and cannot see a wider application of their skills beyond their current role, company or industry. Secondly, the industry needs to reject the “Blade Runner affect,” where humans are pitted against machines and localization professionals become fearful that MT, AI, VR and “all these acronyms are coming to hunt us.” This comes about because of lack of discussion and training in organizations on how technology will impact on the people and processes in the localization industry, Gervas said. To avoid perpetuating these tendencies, Gervas, though she admits she does not “have the playbook,” did have two key takeaways for managers: take risks in hiring and improve training and mentoring, she urged. For Gervas, taking hiring risks means finding talented people who can adapt to changing realities, and bringing in new talent from other industries to gain a fresh perspective. On training and mentoring, Gervas recommends promoting informal training opportunities, cross-training, and initiatives such as cross-organizational sharing, for example inviting bigger localization teams into smaller companies to get localization engineers excited. And Gervas thinks there’s a lot to get excited about: “we bring products to places that are so remote and they feel their products are local. We bring knowledge and content to the world – that’s pretty nice,” she said.